“It lacks focus” –I got the news my photo did not win in a photo contest. Simply put it was rejected in favor of “better” photos. I do not deal well with rejection. Often I tumble into the “blues” with the smallest rebuff, carrying the hurt for days. I try telling myself I am being overly sensitive but that does nothing but make me feel guilty about my mental weakness. Even as I reread this paragraph I feel foolish for letting something so small upset me. It does not even come close to life’s major rejections like divorce, or getting fired. Yet there it sits a lump of hurt in the middle of my life. I am tempted to deal with it by thinking ugly thoughts about those who won: “They knew the judges…It was all rigged against me… People are dumb and cannot recognize how wonderful my pictures are…I’ll teach them, I won’t enter their stupid contest next year.” Such angry thoughts only end up leaving me more isolated and hurt, and do nothing but make me bitter. Now that is a major rejection — amazingly, God will receive me even when my family can’t stand me. …hmm, God will never forsake me when I seek him. Through these verses Holy Spirit leads me away from bitterness and self-pity to a place where I can breathe in God’s love and let go of the hurt. The hard part for me is to receive God’s love as the true measure of me … I have to keep rereading these verses until they stick. I am so thankful life is not about people liking my photos, or even liking me. To my relief, life is about God: His love, His faithfulness and learning to abide in Him. 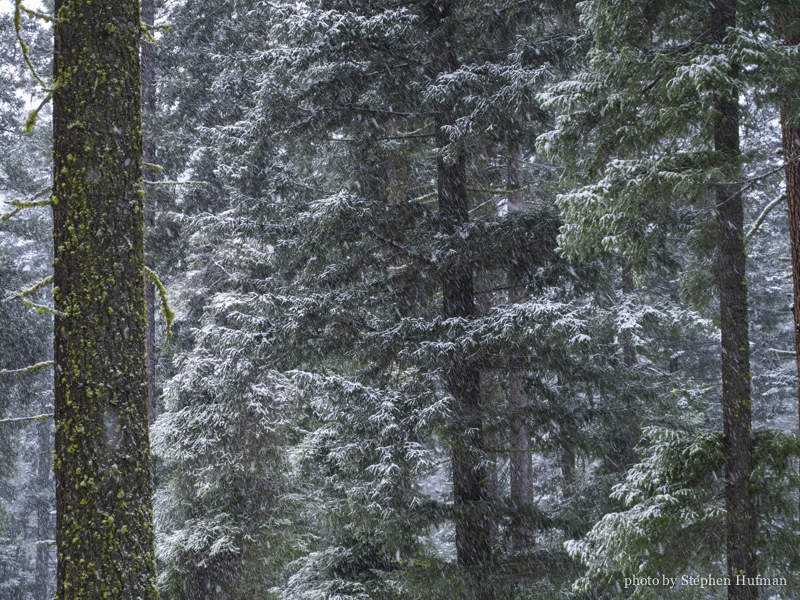 This entry was posted in Photography and tagged devotional, forest, Psalm 9, quiet, rejection, snow fall by Stephen Hufman. Bookmark the permalink.